How will the market perform in the second half? We rounded up three of our top columnists to ask what sectors and stocks they like going into the year's second half. Former New York Stock Exchange floor trader. Author of TheStreet's daily Market Recon column. Co-manager of TheStreet's Stocks Under $10 model portfolio . Generally speaking, I try to stay diversified. It's good to have eight of the 11 [market] sectors -- it gives me room in case I'm wrong, and very frequently in this business things happen that you don't expect. That said, technology and healthcare are your two best sectors [for the second half]. Whether you go back a year or five years, those are consistently your top two. So I'm going to be represented in those two spaces. In technology, I used this week's market rotation out of tech to buy Lam Research (LRCX - Get Report) and Nvidia (NVDA - Get Report) , and I've been long Intel (INTC - Get Report) for a while. That's a long-term play, but at least it pays a nice dividend. In healthcare, I want exposure to the pharma space, so I recently bought Pfizer (PFE - Get Report) , which has a nice yield, so at least you're protected if something funky happens. And for speculative name in the space, I bought Enzo Biochem (ENZ - Get Report) . They have a lot of upcoming patent litigation that could go their way, so the stock has been working its way higher. Going forward into the next quarter, I would expect to be overweight in those two sectors, plus the financials. When Donald Trump was elected, it was very good for the banks, and if yields keep rising it's going to be great for financials overall. I like Citigroup (C - Get Report) , and I bought Wells Fargo (WFC - Get Report) going into the recent Federal Reserve stress tests. I also like KeyBank (KEY - Get Report) as a longer-term play. Follow Stephen on Twitter here. Chief investment officer of Tematica Research. Co-manager of TheStreet's Stocks Under $10 model portfolio. Technology in the back half of the year will be strong as we continue to see the accelerating shift toward a connected society. Two names that I like are Amazon (AMZN - Get Report) and USA Technologies (USAT - Get Report) . As far as healthcare, there are going to be some things that hinge upon healthcare reform actually happening in Washington. Still, you might look to revisit AMN Healthcare (AMN - Get Report) . Elsewhere, we could see sizable bumps for the companies that might be rebuilding the country's infrastructure under Trump's "Make America Great Again" plan. Look for names that are going to be beneficiaries of incremental infrastructure spending, such as Granite Construction (GVA - Get Report) and Dycom (DY . 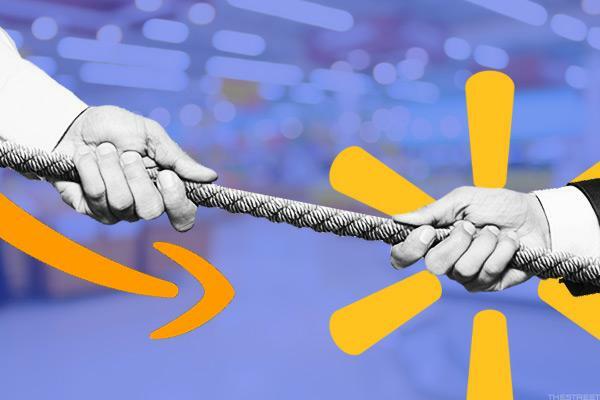 Here's why Amazon and Walmart could both be buys. Financials are getting a lift right now from the Federal Reserve, but the big question is whether the economy is going to be strong enough to lead the Fed to raise rates for a third time this year as loan growth slows. Retail is going to continue to be challenged, but I wouldn't be surprised to see investors flock to safe havens like utilities new and old in the second half, especially if the U.S. economy growth is slow. Utility names to consider include ATT (T - Get Report) , Verizon (VZ - Get Report) and electric utilities like Consolidated Edison (ED - Get Report) . These are very inelastic services that people will continue to use no matter what and they have impressive dividend yields. As for energy, I'm not excited by oil, but solar could be a wild card, as the parity cost is coming down in relation to other energies. Follow Chris on Twitter here. Managing director of Barchetta Capital Management. Columnist for TheStreet's Real Money Pro premium site. We've recently seen a rotation away from the winners in the first half -- the FANG stocks. But I think you're going to see a resurgence from some of those names in the second half. A lot of people believe money is rotating out of tech and into consumer staples -- but when that happens, it usually means the economy is topping out [and] that consumer staples became undervalued and had to play catch up. [But] the economy is doing well right now, so you're going to see the FANG stocks rebound in the third quarter. Health care is very dependent on what occurs in Washington, so I'm a little nervous about investing in that sector. Energy doesn't look good to me, [and] the tension in the Middle East is not going to help. I think that sector is going to get cheaper -- if you go in right now you're going to be early. Utilities look good so long as the 10-year yield is falling, but if that yield curve begins to steepen, that sector is going to look less attractive. It doesn't matter what the Fed does, it's what the market does, and the market will let you know whether the Utilities play makes sense. I'd watch the yield on the 10 year very closely. Finally, I think the companies that have been beaten down on the [merger of Amazon (AMZN - Get Report) and Whole Foods (WFM ] -- like Costco (COST - Get Report) , Sprouts (SFM - Get Report) and Walmart (WMT - Get Report) -- are good buying opportunities. The logistics of putting two huge companies like Amazon and Whole Foods together are unwieldy, so I see those names getting beaten down as a bit of a knee-jerk reaction. It's going to be a long time before we see the benefits of an Amazon-Whole Foods merger. Follow Ed on Twitter here.